Ramblin' Stamper: Boots 'n Burlap - Country Livin' at it's Best! 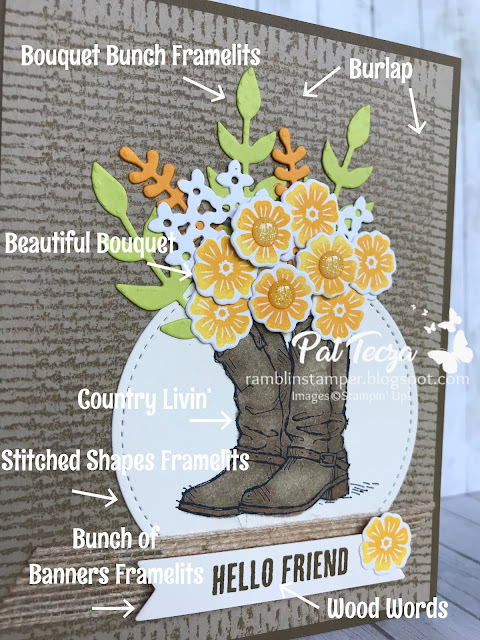 Boots 'n Burlap - Country Livin' at it's Best! The card base is made from a half sheet of Soft Suede cardstock. The mat is Crumb Cake, stamped with the Burlap stamp in Crumb Cake ink. The boots are stamped on Very Vanilla with Memento Tuxedo Black and colored with Dark Crumb Cake & Bronze Stampin' Blends. The Very Vanilla circle is cut using the Stitched Shapes Framelits. 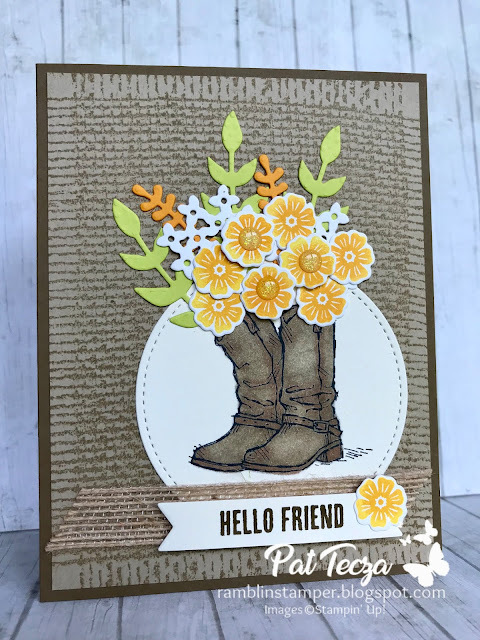 "Hello Friend" is stamped in Soft Suede on Very Vanilla cardstock. 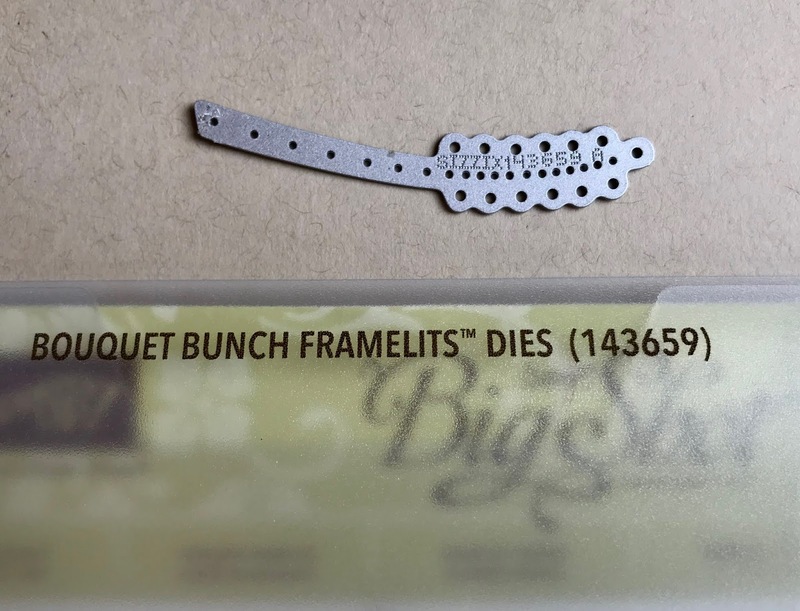 It's adhered with Stampin' Dimensionals over a piece of Burlap ribbon. The Burlap Ribbon is held in place with Tear & Tape. The ombre look on the flowers is achieved with my favorite new tool, the Stamparatus. For each flower, I applied Pineapple Punch ink with a sponge dauber & stamped it once. Then I applied Mango Melody just to the center of the flower with another sponge dauber and stamped a second time. Love these color variations! 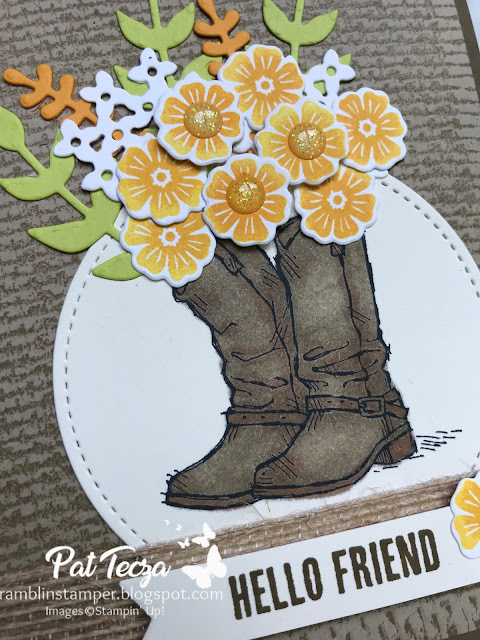 The die-cuts behind the flowers are cut from Lemon Lime Twist, Mango Melody & Whisper White. Three glitter enamel dots adorn the flower centers. 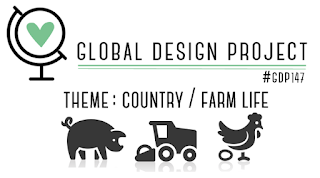 Be sure to visit the Global Design Project website this week for more great project ideas!